As the weather begins to get colder, a lot of us are able to stay warm and dry inside the comfort of our office, only having to face the bitter weather on our ways to and from work. However, if you have a job that requires you to be on the road for a great proportion of your day, then it is important for you to take as much care as possible when driving in severe winter weather conditions. Before you head out for your first job of the day, check your tyres. 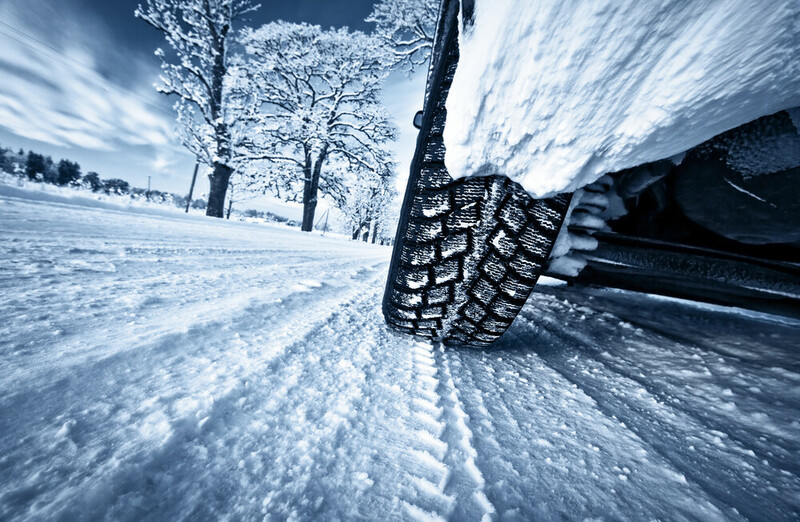 Poor tyres will not grip on snowy or icy road surfaces. Ensure your tyres are inflated properly and that they meet the minimum standards for tread depth. In the UK this is 1.6 millimetres, however, in icy conditions 3 millimetres minimum is advisable. Clear ice and snow from your windscreen before you leave. The best method is to use a can of de-icer and a scraper. Do not use hot water as this can crack the glass, plus the water will quickly turn to ice again. Also, ensure your windscreen wash reservoir is topped up with the correct balance of water and wash to prevent it from freezing. In freezing weather car locks can freeze up. To prevent this from happening, spray each lock with WD-40. However, if they do freeze over, heat up your key with a lighter to melt the ice. Ensure that you keep your speed at a steady pace – you don’t want to be too fast as you may lose control of your vehicle, but also you don’t want to be too slow as you risk losing momentum when you need it. Brake, steer and accelerate as smoothly as possible. Start in 2nd gear and avoid high revs and for better control on icy roads, stay in a higher gear. When you are driving downhill, get your speed low before you start going down the slope. This is safer than trying to slow down once you have started downhill. However, for ice and snow conditions the distance should be at least 10 times more than the above ‘normal’ stopping distances. Remove your foot from the accelerator – this throws the weight balance of the car forwards and helps the tyres find grip. Also, as your car begins to slow it will give you time to gain control. Do not use the brake – though our natural reaction is to slam on the brakes, this will lock up the tires in the back of the car and cause them to have even less chance of regaining traction. Turn into the skid – as the tyres find grip carefully steer the car into the direction of the skid. For example, if the rear of the car skids to the right, steer smoothly to the right. When planning your journey for the day try to avoid minor roads, like country lanes, where possible. These smaller roads are less likely to have been gritted and cleared. On motorways, stay in the clearest lane, away from sludge and ice if possible. If the weather conditions are really poor (falling snow, heavy rain etc) then use your dipped headlights to not only help you see but also to make you more noticeable to other drivers and pedestrians. However, if visibility drops below 100 metres then you must use your fog lights, but ensure you turn them off as soon as visibility improves as they can dazzle on-coming cars. In our October toolbox talk we discussed further points to consider in wintery conditions. You can read this here.